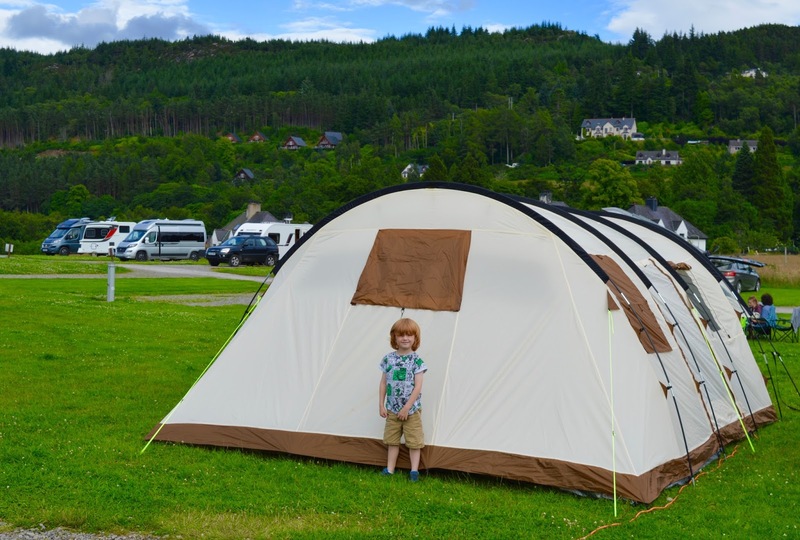 It was always our plan to go camping on the shores of Loch Ness this summer and it was something we were all very much looking forward to. Unfortunately though, our car broke down beyond repair and the disappointment on our children's faces that we might not make the trip was hard to see :-( Luckily, granny came to our rescue and let us use her car for the trip. Yeah! So we were back on. 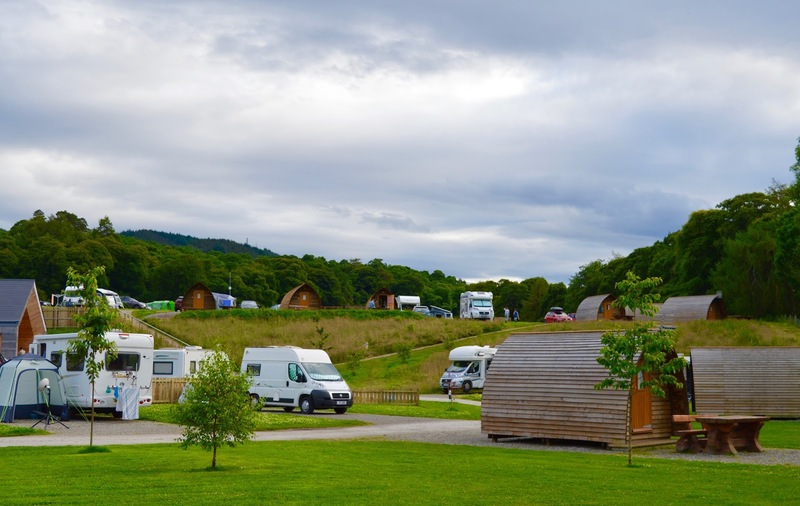 We booked to stay at Loch Ness Shores which is a 5* camping and caravanning club site. It is fairly pricey at just under £50 (non-members) per night for the 5 of us (although there are a lot of deals if you are C&C members & we'll definitely be joining next year) but we decided it would be worth it as it was one of the only places you could stay where you had immediate access to the loch and the wealth of 5* reviews about the site's facilities and staff convinced us it was the best option for us. We received a super warm welcome from the staff - we had been warned about a single track lane on the approach and that it could be a bit hairy but it was honestly fine - if you've ever been to Cornwall, you'll have experienced worse. 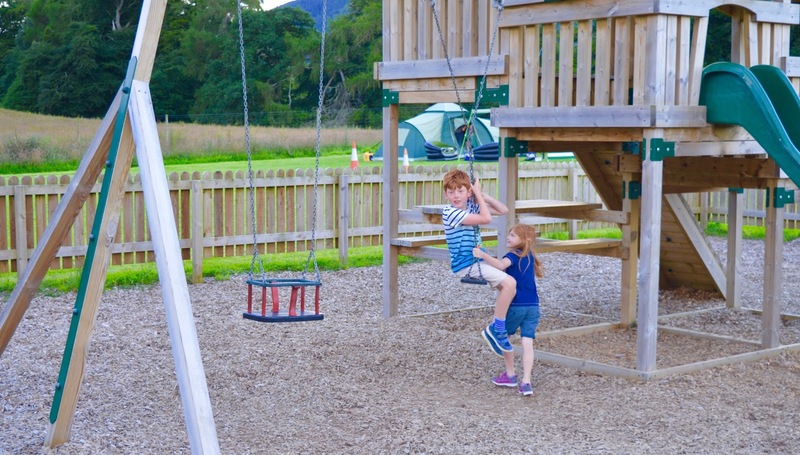 The campsite is split into two levels and you pretty much have your pick of available pitches. We booked a pitch with electric hook up which was only a few pound more but 100% worth it. There was also a water tap between every 4 pitches which was handy not to have to walk far. Unlike festival camping, C&C sites usually have an 11pm curfew which suits us just fine. Lights are out for the whole site at 11pm and a good night's sleep is guaranteed with no wild parties or late night drinking. 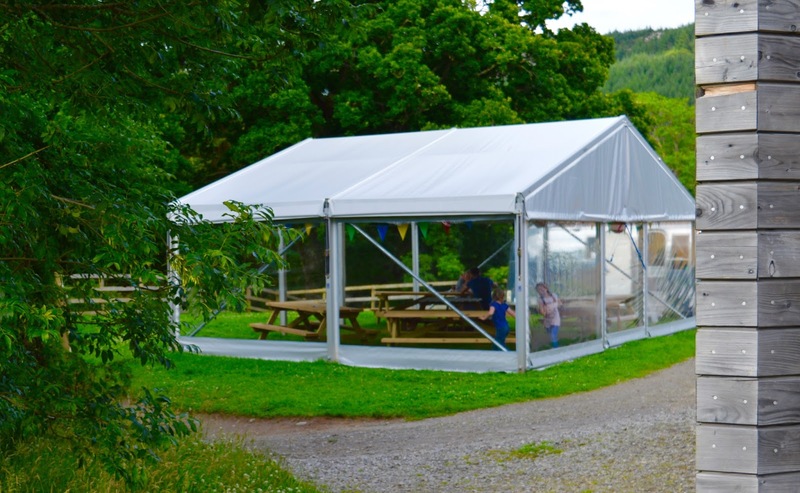 We pitched our Skandika Kairo tent in no time and settled into our surroundings. 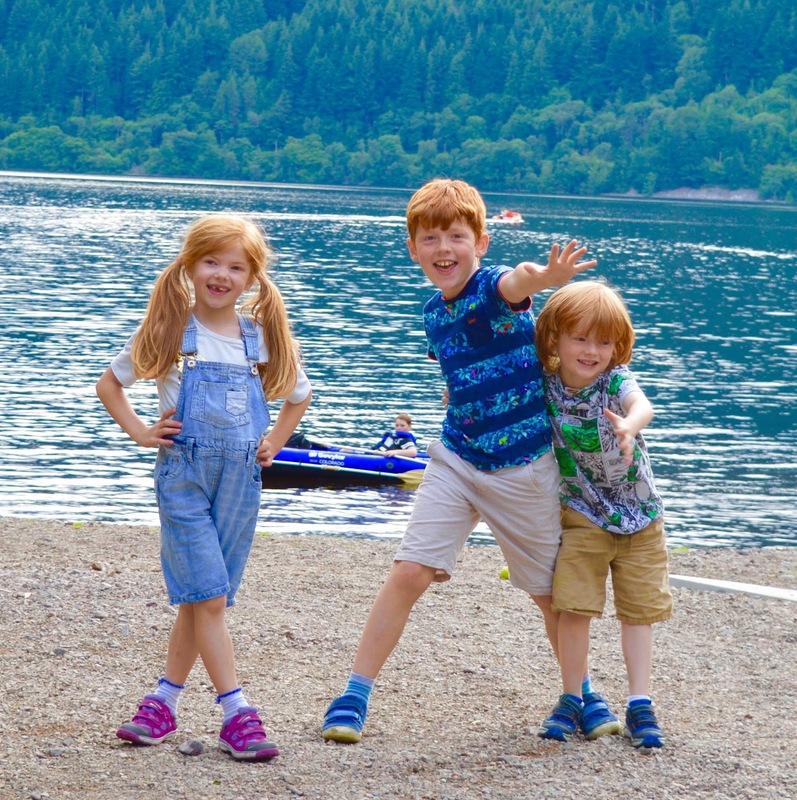 Our three tend to stick together on holiday so they were under strict instructions to find new friends - and that they did! 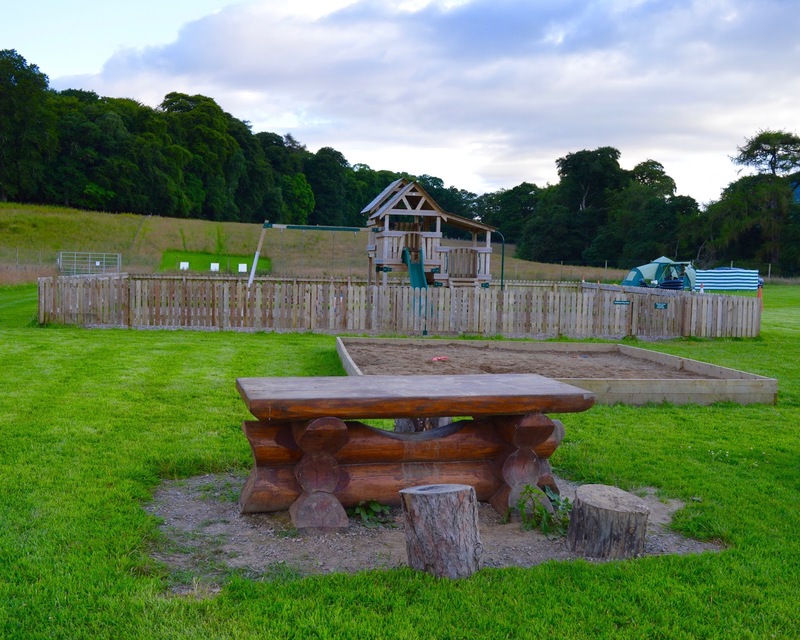 Most of the children gathered in the on-site play area on an evening (which was in our line of site from our pitch) and in fact they stayed there until 10:30pm on the first night joining in with a giant game of hide and seek with their new friends. Happy days :D While this was happening Steve and I just chilled outside our tent, taking in the views with a glass of wine or two. Blissful! 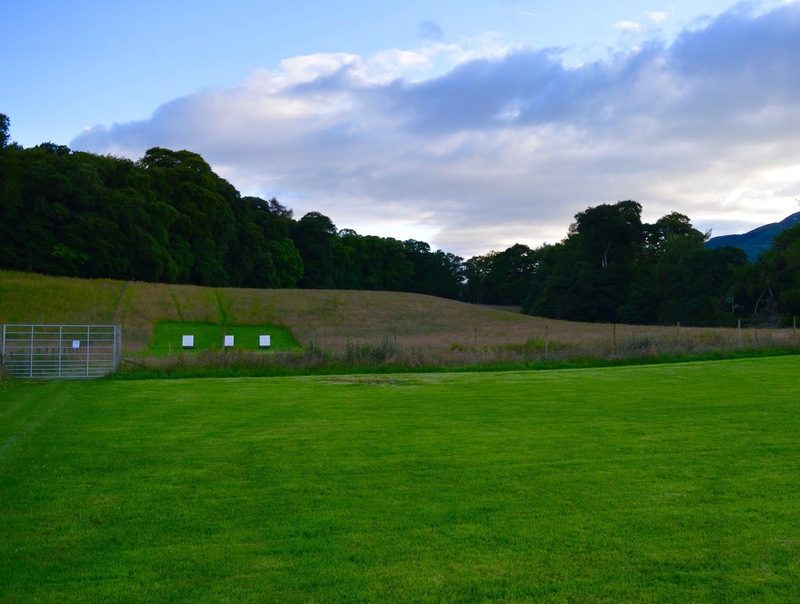 There is a large grassed area next to the play park for ball games too - everything has been thought of. On the lower level is where you'll find the site's main facility block. The showers are hot and bathrooms are SPOTLESSLY clean. I'm not sure how they achieved this as I never spotted a cleaner but they did! 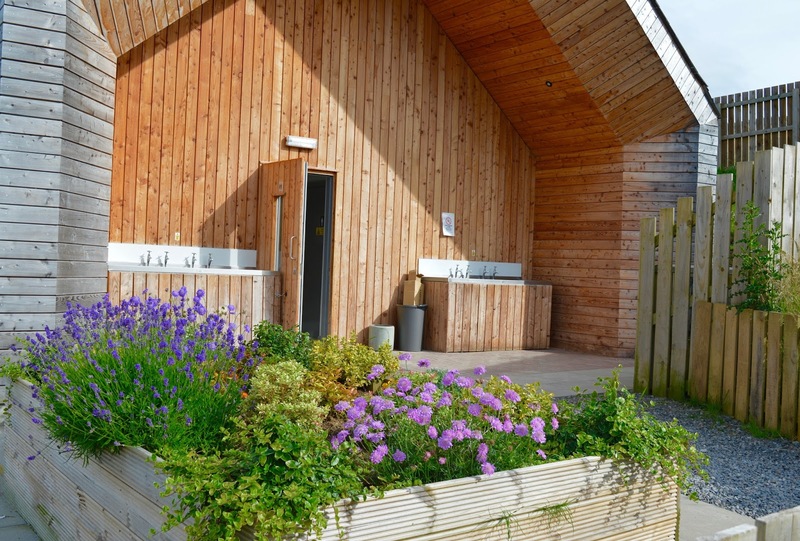 There is also a washing up area, laundry room and washing lines. 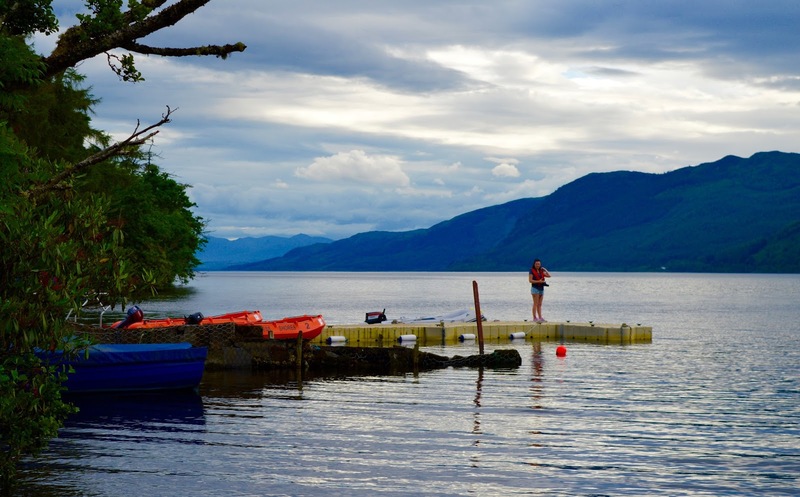 One of the things I LOVED about Loch Ness Shores is that BBQs were permitted as long as they were off the ground and there are FREE fire pits dotted around the loch side for you to build your own campfire. Fire wood can be bought from the shop for £5 per bag. 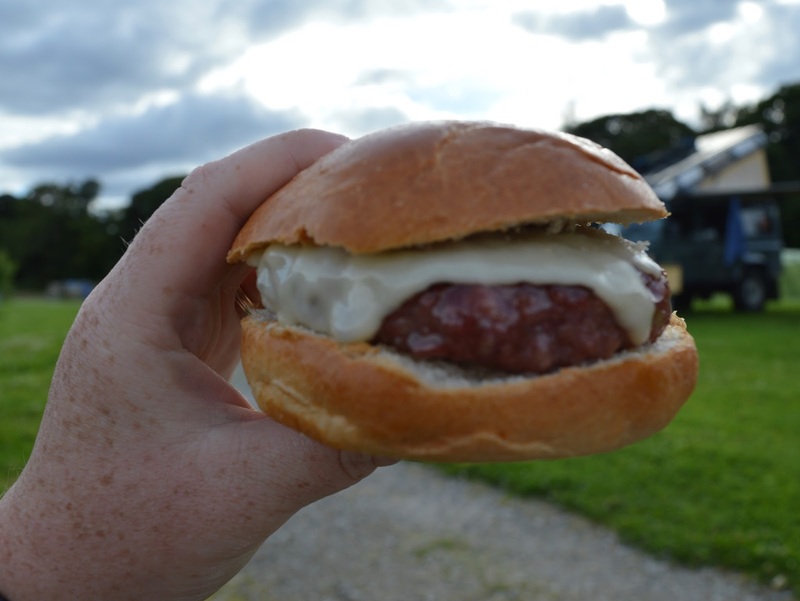 We enjoyed the best BBQ'd burgers from the local butcher and of course toasted marshmallows. 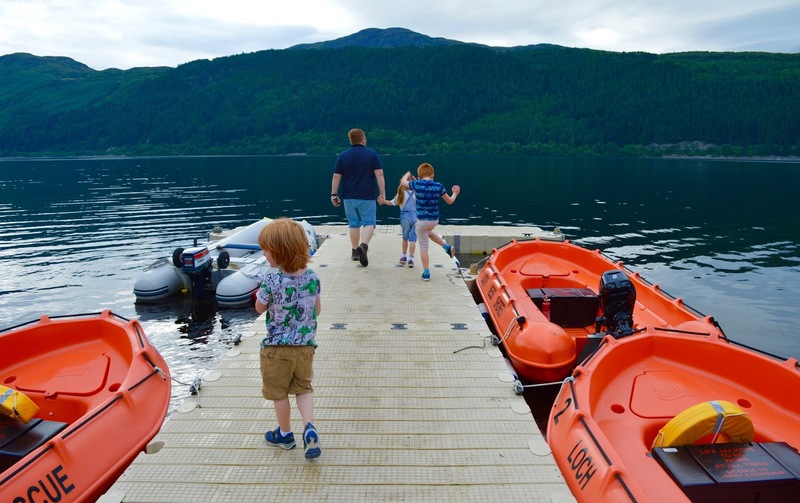 Loch Ness Shores has a fantastic reception area/shop which is a real hub of activity - here you will find knowledgeable staff, a small shop, an ice cream stall, a fridge and a freezer (which campers are free to use), a coffee machine, maps and guide for sale plus more...... it's open from 9am to 9pm too so there's always someone around to help. 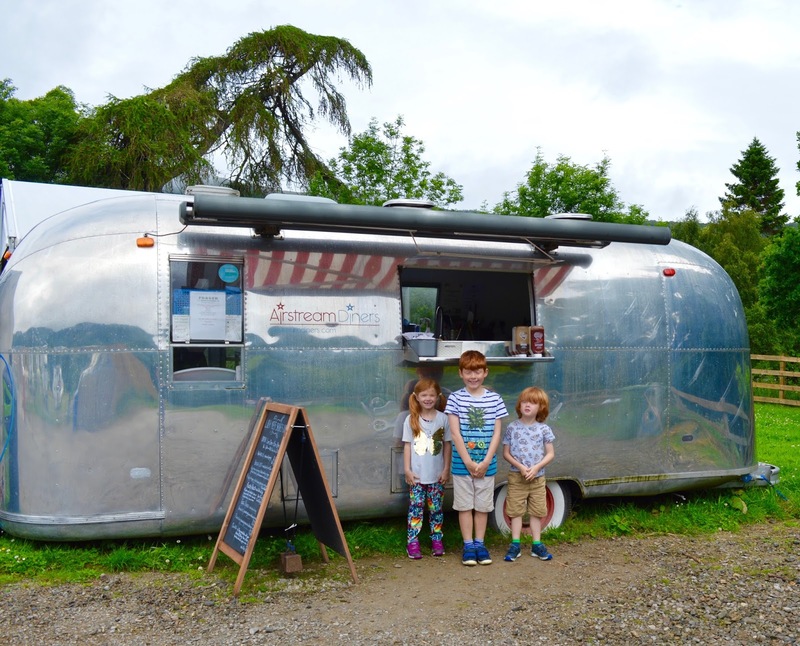 The Airstream diner was another huge plus for us - located just next to reception, this quirky little cafe serves up the most delicious breakfast & lunch. The staff are super friendly and they make a mean waffle! If you can't be bothered to cook, it's so nice to have this option. 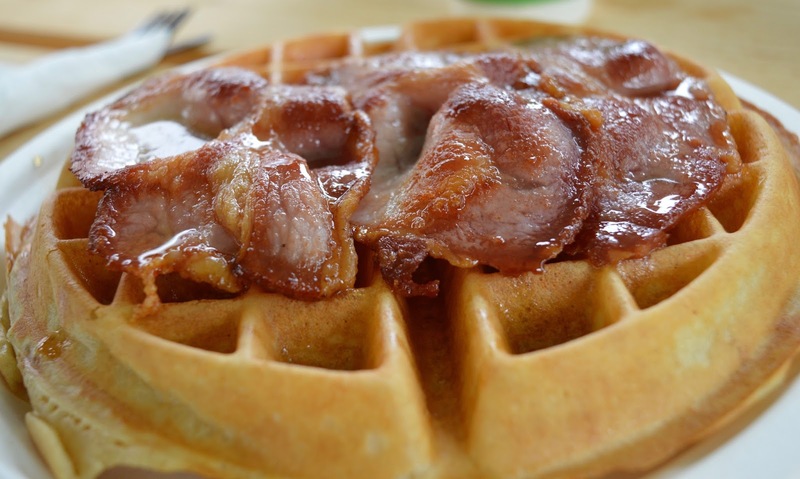 Prices are good too (£3.50 for a half waffle and syrup - the half waffles are still pretty big). 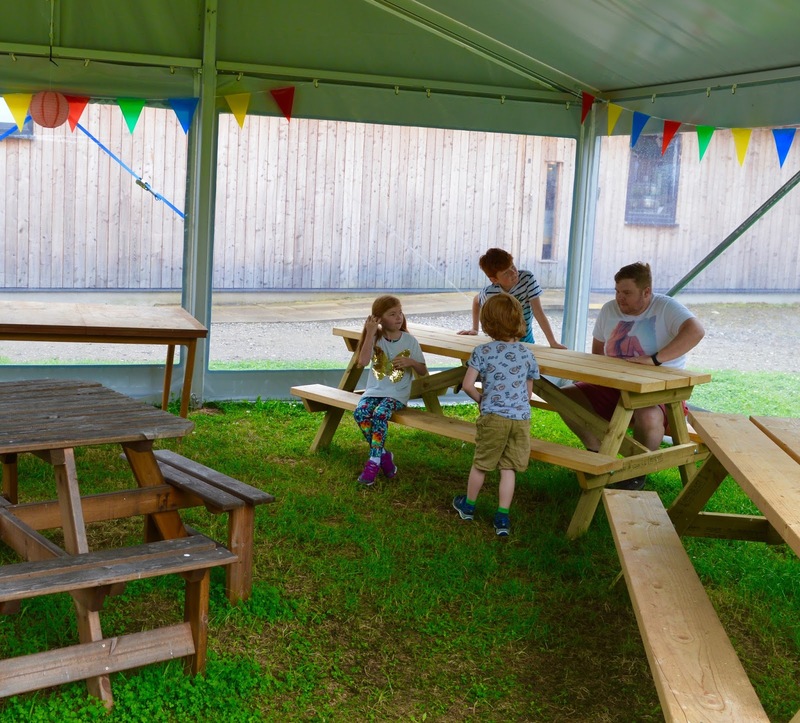 There's even an under cover seating area between the loch and the diner should the weather take a turn for the worse. 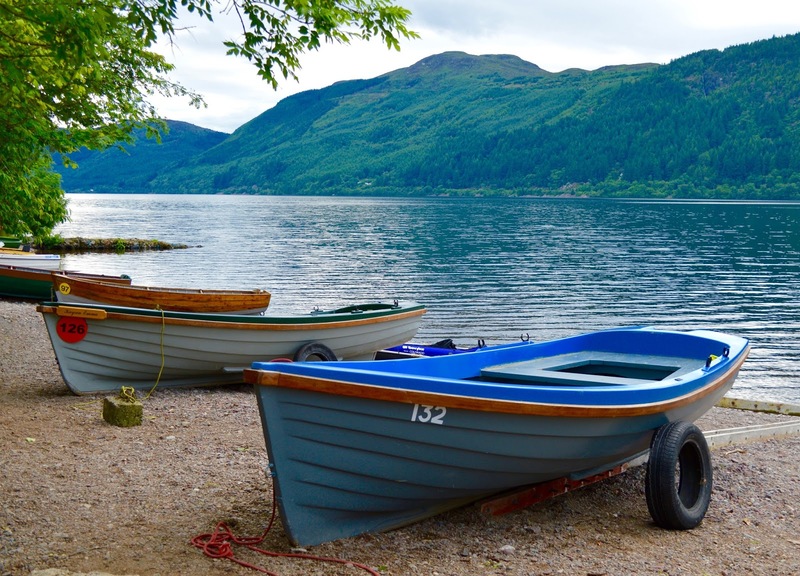 The best thing about Loch Ness Shores though (along with it's lovely staff) is the location. 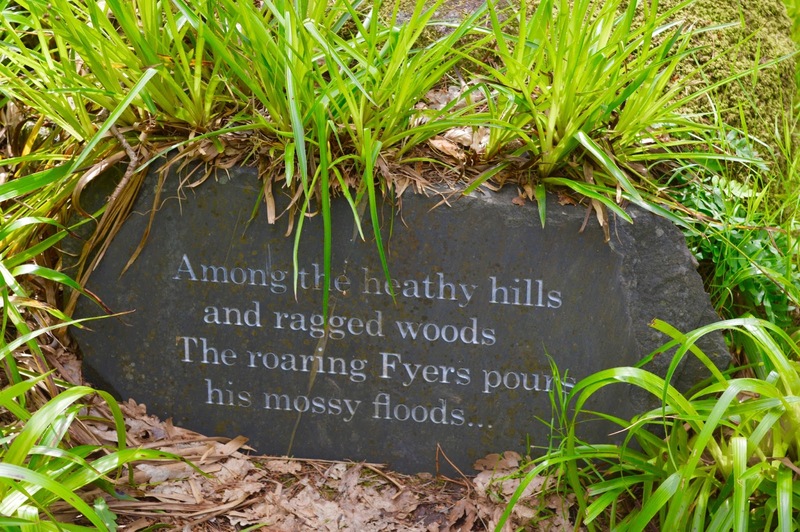 Right on the banks of Loch Ness and surrounded by woodland walks, it is simply breathtaking. 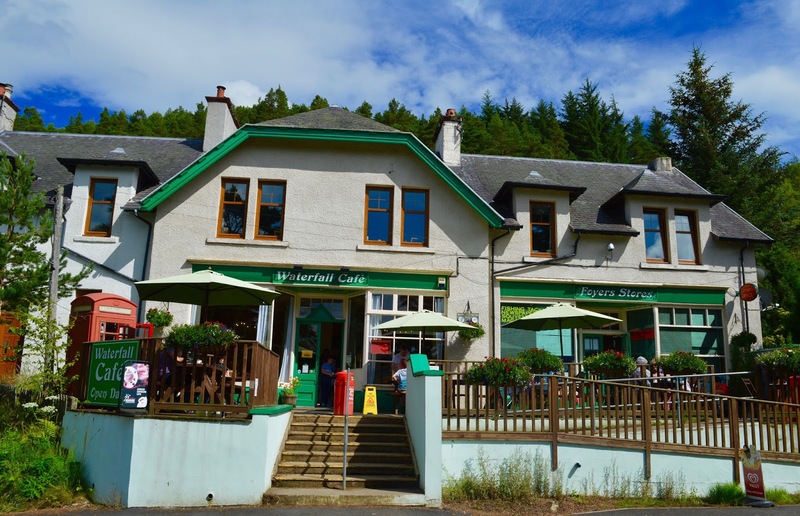 If you don't want to use your car, the village of Foyers is around a 20 minute walk away. 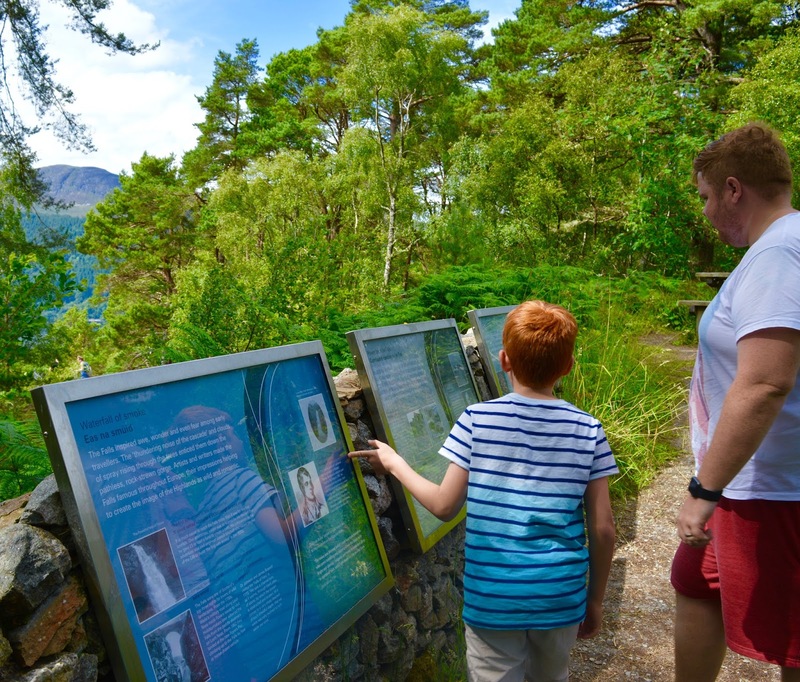 Loch Ness Shores website says it's 20 minutes, but I think it takes longer than this (esp with kids) as it is all up hill. 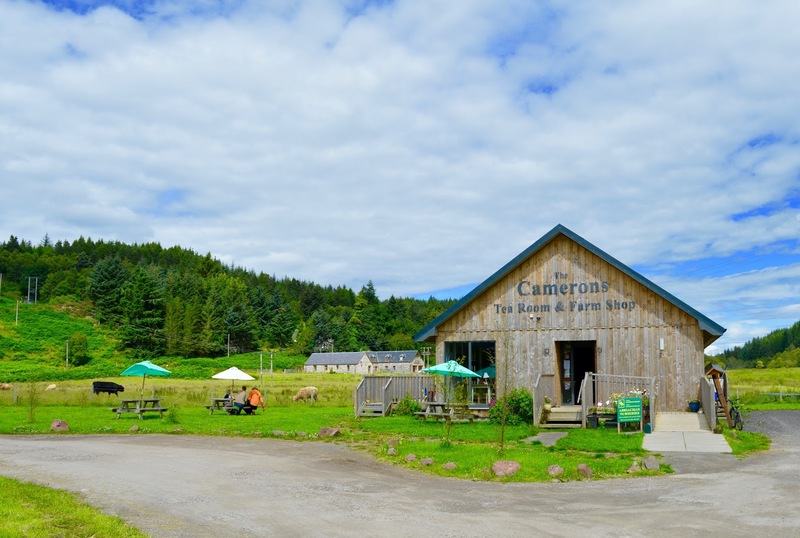 Cameron's Farm shop is a lovely traditional Scottish tearoom with the cutest herd of highland cows in their fields and definitely worth the trek. 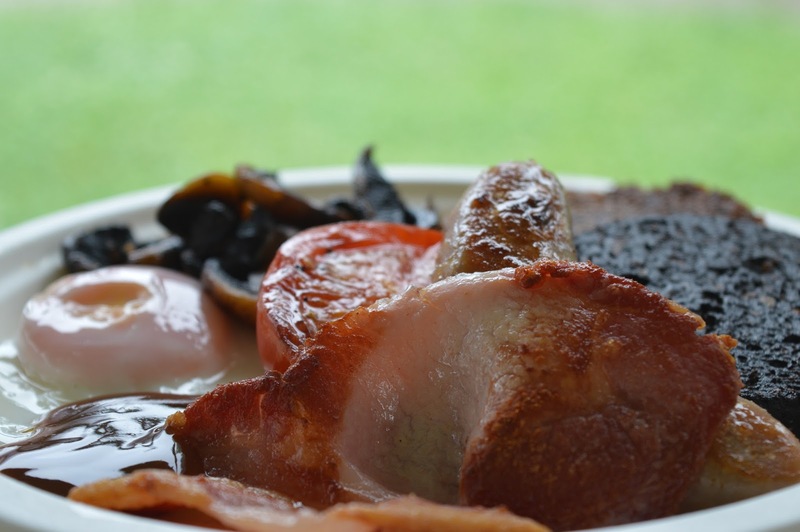 Don't exepct a huge farm shop - it's only little but has enough supplies to get you through. 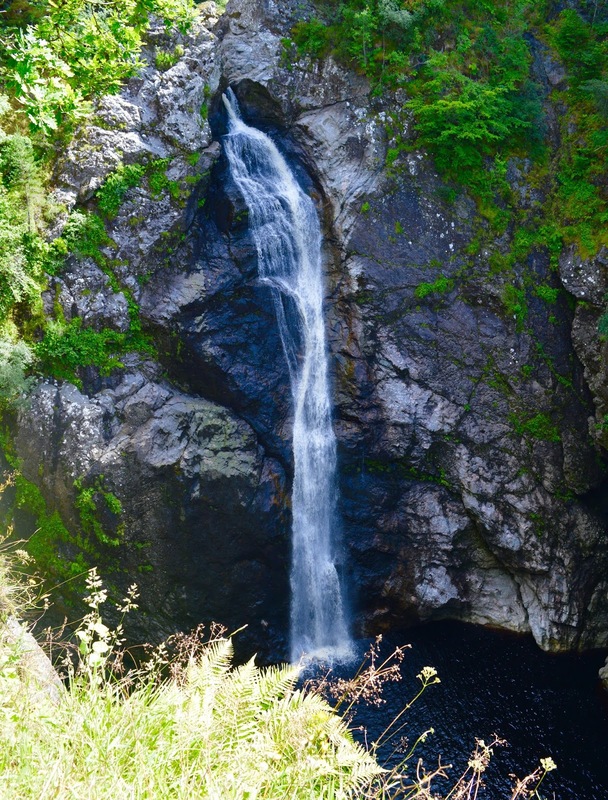 You will also find the most beautiful waterfalls within walking distance of the campsite. 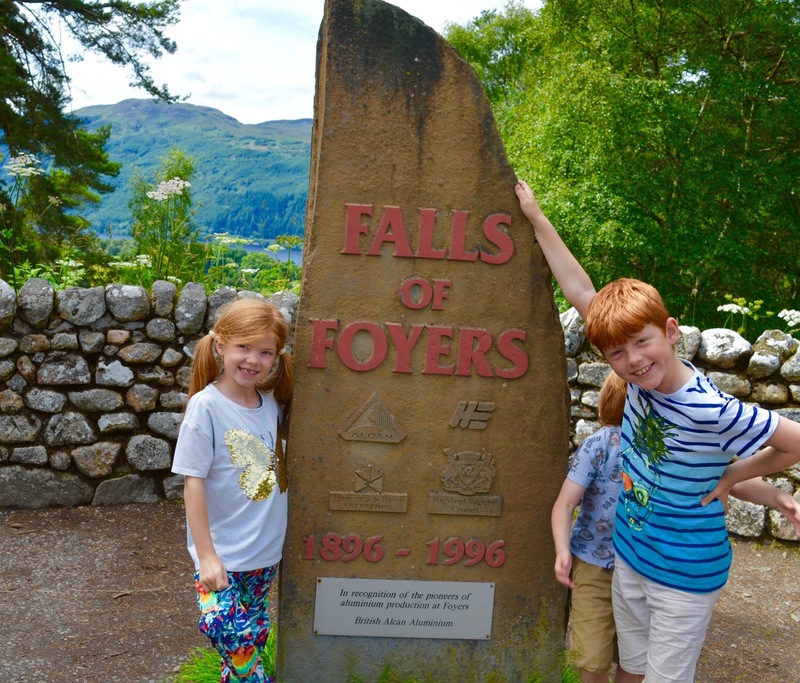 The Falls of Foyers are stunning and the picture really does not do them justice at all. There is a quaint little tea room in Foyer village along with a post office and village shop. 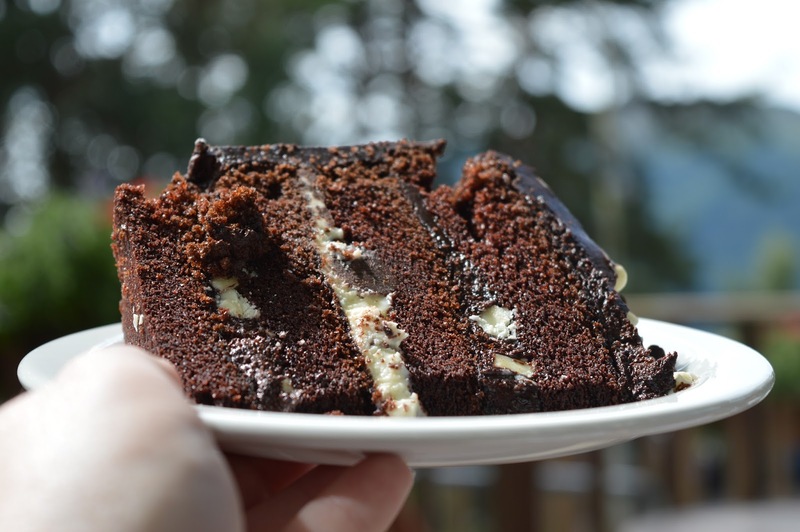 We found the tearoom to be a bit on the pricey side (£4 for a slice of cake meaning we spent £20 on cake) and cans of pop were more than double the printed price on the can........It is still worth a visit though and the double chocolate cake went down a treat. 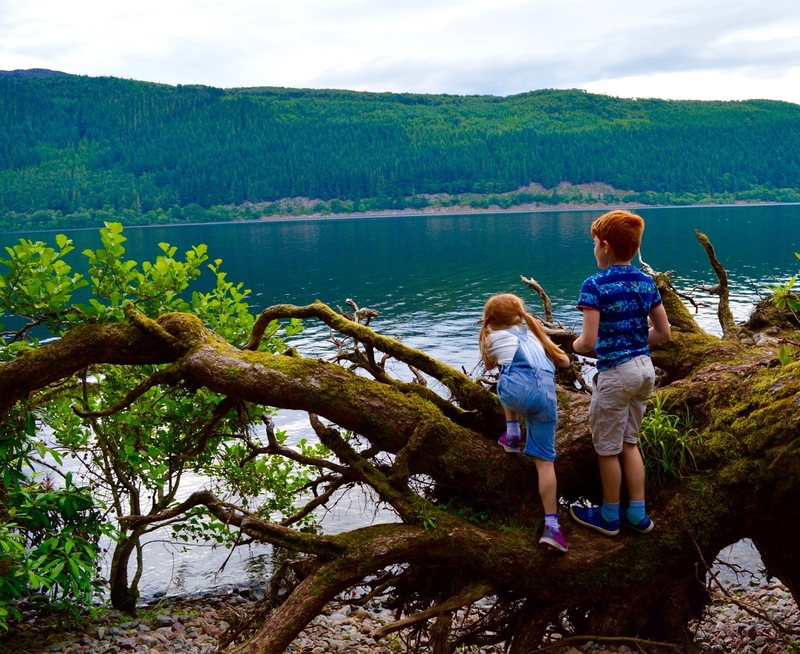 Our time at Loch Ness shores was simply wonderful - woodland walks, Nessie spotting, freshly cooked American-style waffles, breathtaking waterfalls and views, kids making friends and playing games in the long grass, BBQs with locally sourced products, exceptional staff........ I could go on! The site was a wonderful base for our trip and we will no doubt return in the next few years. What a super place to camp! 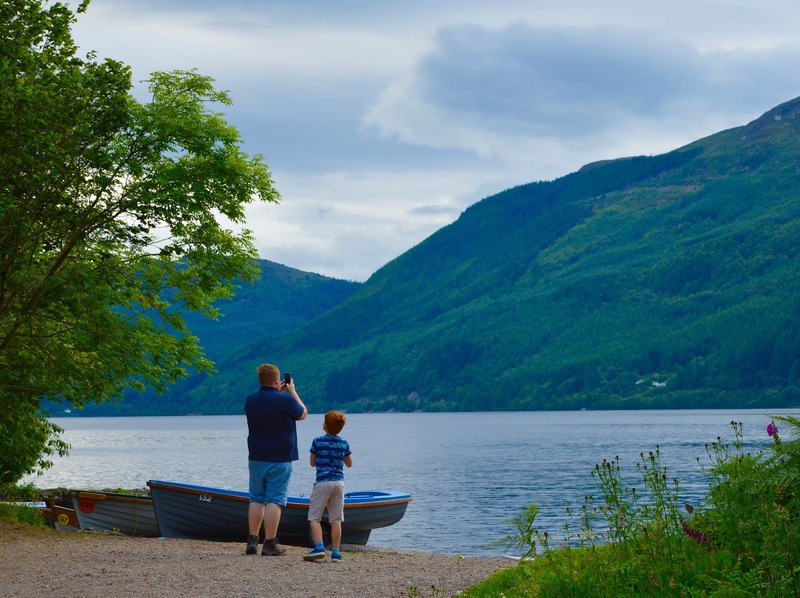 We cycled along Loch Ness last month - off road down the Great Glen Way, camping in Fort Augustus and staying at a youth hostel, um, somewhere! A beautiful place in the world. I have never wanted to go camping more in my life after reading this! The views look amazing. But isn't it obvious why you never saw a cleaner? If you had to be in bed by 11pm the fairies must come out at 11:10pm and do all the cleaning? It looks so great. I'll definitely consider this for a future holiday. 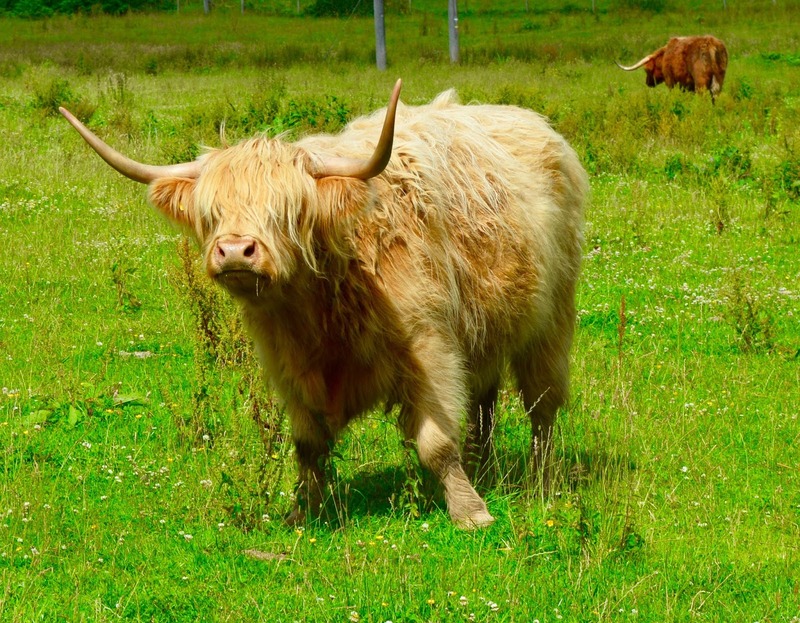 We've said we are holidaying in the uk for a couple of years after our awful holiday abroad in May and exploring Scotland is on my list. You blog is looking so great now btw! This looks like a fun place to be. Everything looks refreshing. Yum, the food looks delish too. 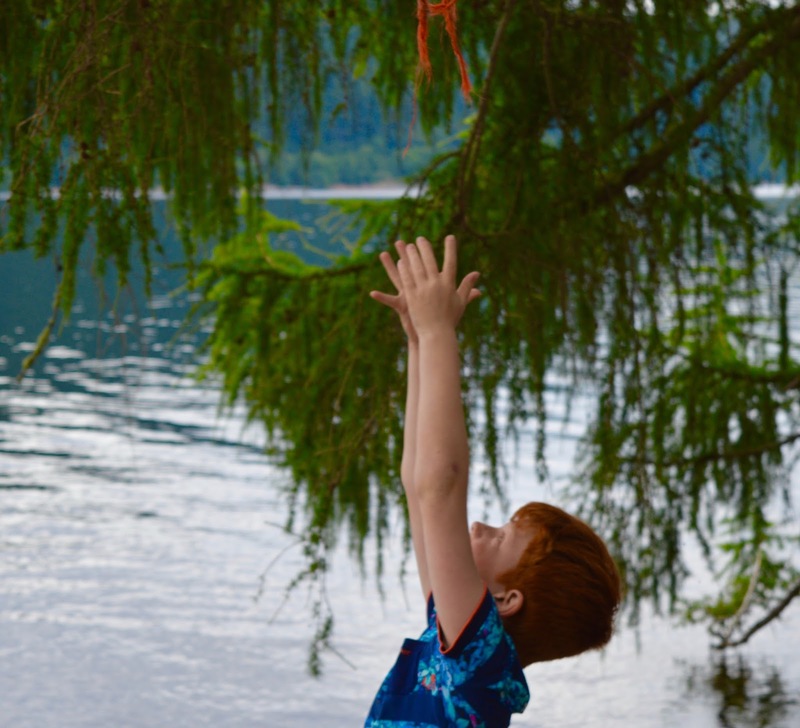 I haven't been camping in forever, now I want to go. Thank you so much for the fabulous review. 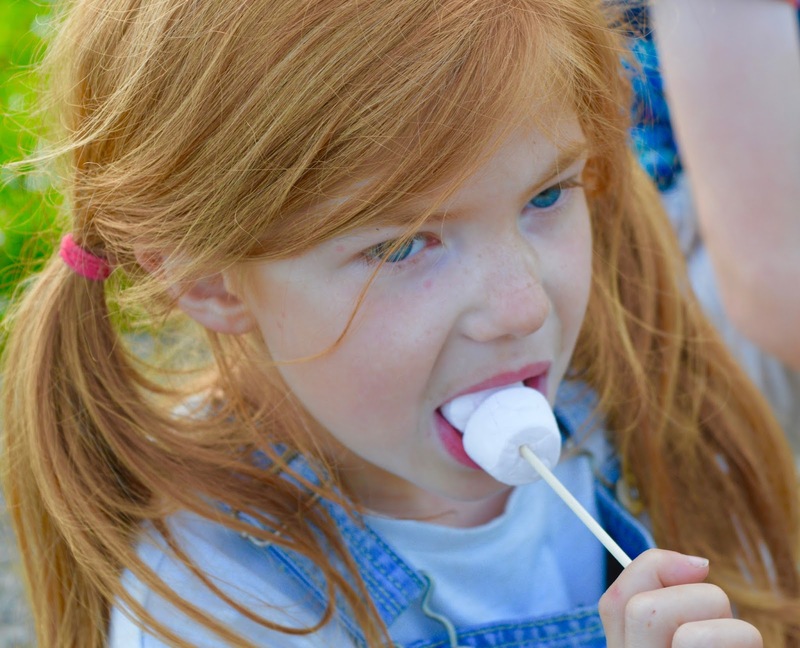 We're delighted that you and your family enjoyed your holiday. We are very proud of our fantastic team who work hard to make sure every aspect of our service meets 5* standards. Hope to see you again soon. It looks lovely there. 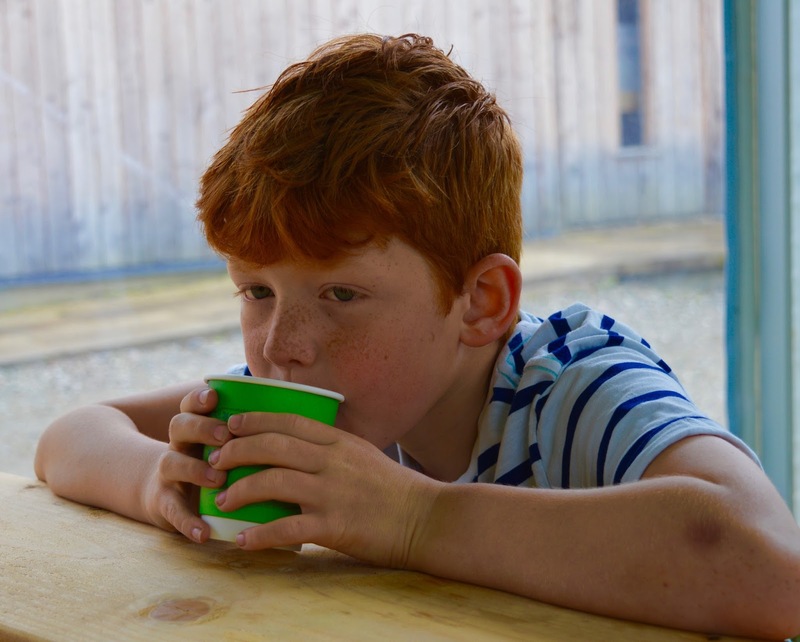 I am considering taking he children glamping sometime. I would love to camp here, the views and being so close to nature is just so amazing. Sounds like such a fantastic trip, somewhere I'd love to visit one day! I love that there are actual fire pits that are free to use! What an amazing trip and the scenery just looks absolutely incredible! Wow! This is C&C on a whole new level. Gorgeous place and beautiful photos.